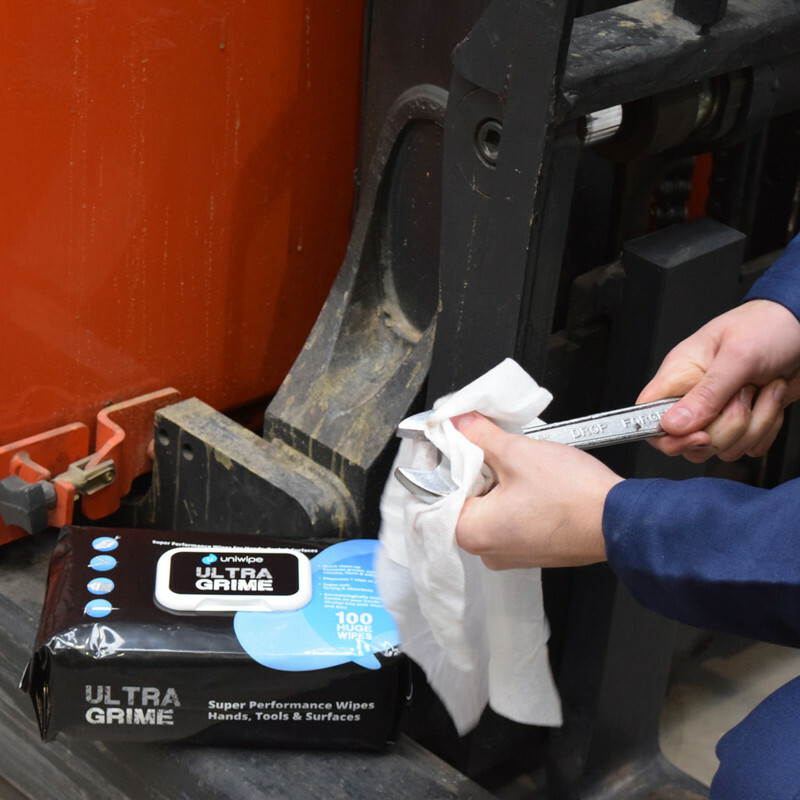 Textured, strong and absorbent super performance extra large wipes. 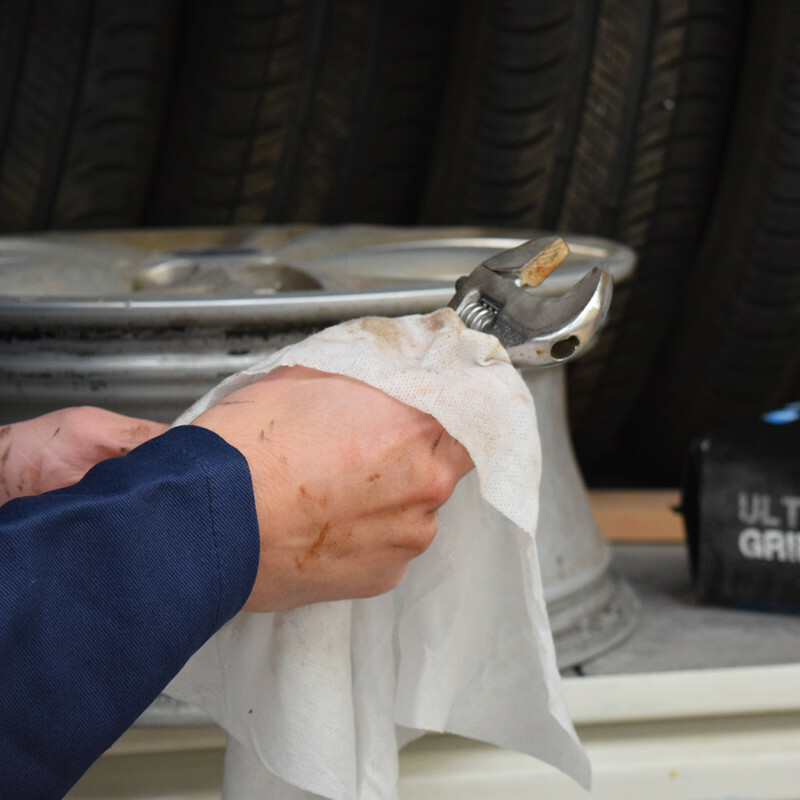 Remove grease, paint, silicone, foam and adhesives. Dermatologically tested, gentle on your hands. Stays wet for 60 minutes out the pack. 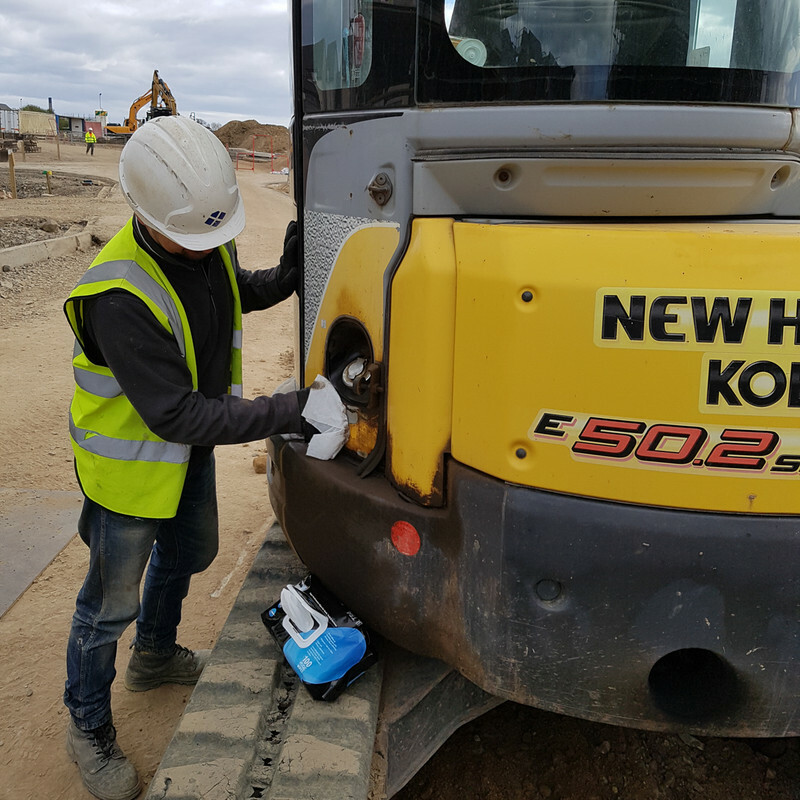 Alcohol free, safe on all surfaces. 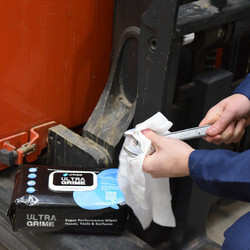 UltraGrime Extra Large Industrial Wipes 100 Wipes is rated 5.0 out of 5 by 5. 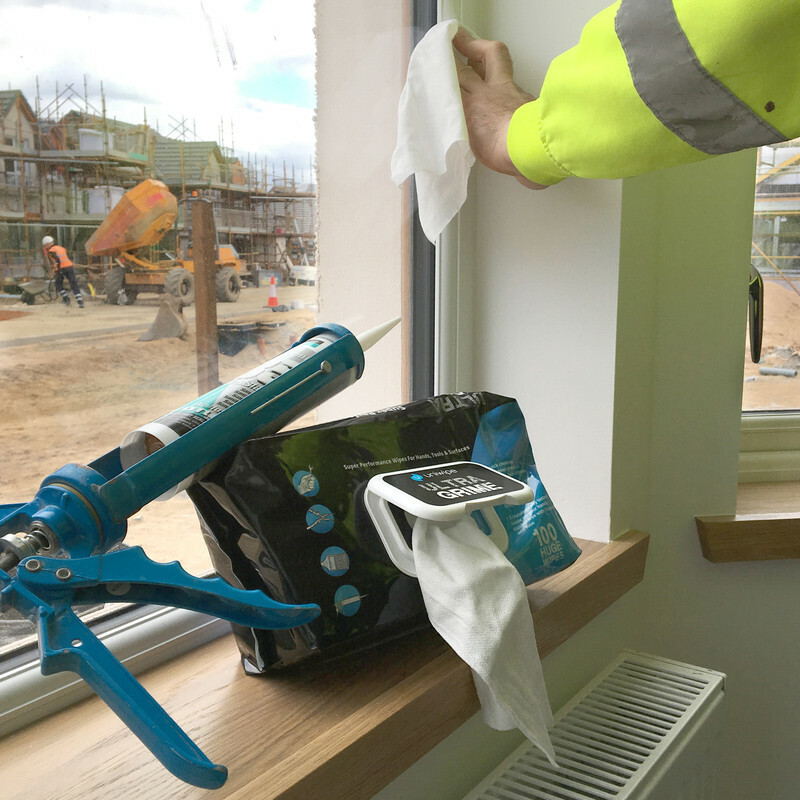 Rated 5 out of 5 by Mumtoboys from Used to clean blinds That dreaded job was much easier with these wipes! They were great. 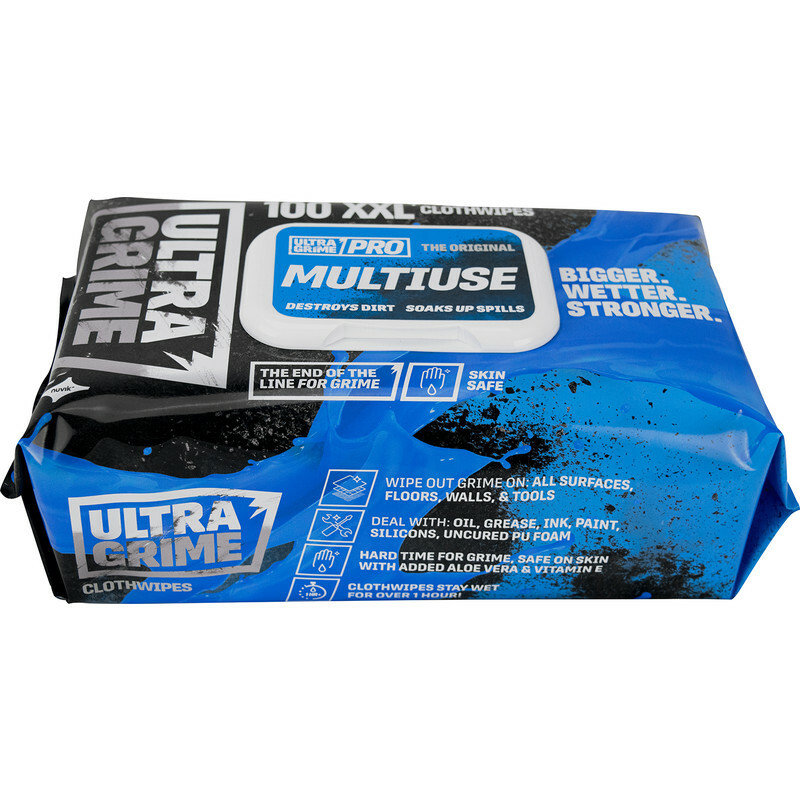 Rated 5 out of 5 by Thexinspector from ULTRAGRIME WIPES These are the best wipes I have ever used. They will effectively clean oil, grease and paint from hands and tools. They are HUGE and will stay moist for a good while, so can often be used again. They are dermatologically tested, but must have some strong cleaning chemicals, so I would be wary of using them lots. 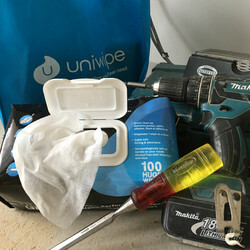 Rated 5 out of 5 by Peter Ch from What an awesome product!!! I was originally given a packet of these for cleaning in and around the Office and kitchen. I then gave them to my workshop team to try on cleaning up the kit - they did an excellent job and the team came back asking for more, hence i have now ordered more! I couldn't recommend them highly enough. Rated 5 out of 5 by completefabrications from Worth The Money My friend had recommended these and I am glad he did. Used them for decorating last weekend and they were fantastic.